You are here: Home / Lifestyle / How to keep your child safe online? If you feel your child is old enough to access the internet by themselves, they are probably old enough to understand the risks involved. 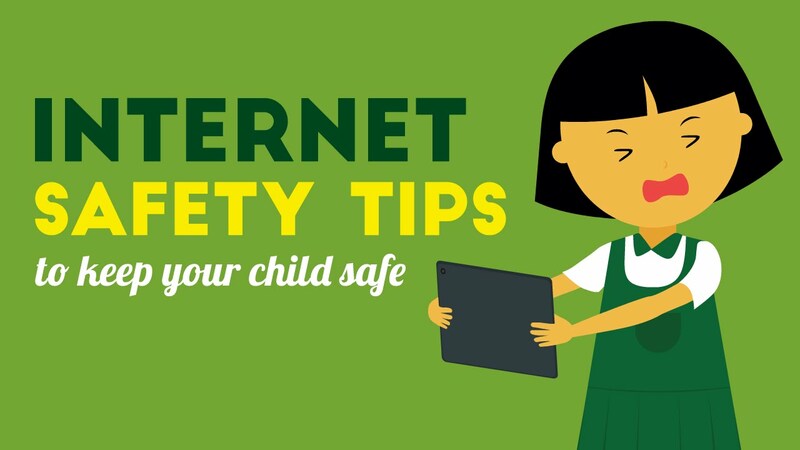 Sit down with your child and talk to them about the risks and dangers they will encounter online. Make it a point to talk about what your child has been doing online every single day to make it a habit. This way, if anything unsafe happens, your child will surely tell you about it. Boundaries are very important when it comes to internet usage. The internet can be addictive to some children and it is important to monitor the amount of internet usage your child gets each day. Time limits must be strictly followed and can be extended as they get older. However, it is still advisable to protect your children using safeguards such as age restrictions on certain websites. This way you can monitor your child’s usage of the internet. Setting boundaries also apply for family time. Inculcate the habit of not using any devices during meal times and family time to discourage the habit. You may also like: How to develop the habit of reading in your kids! This is a very important tool you can use as a parent to restrict the websites your child can access. Studies show that many children below the age of 12 have witness adult content online at some point in time. This makes the internet a very dangerous place for your child. Using parental controls has been proven to be a very effective tool in monitoring your child’s internet usage. This is perhaps the best tool you can wield as a parent to monitor your child’s internet usage. Set some rules about internet usage. Tell your children that they can only access the internet with an adult present. This way, it won’t be awkward for them in later years when you interrupt their internet usage. This is also effective to teach your kid all about the internet and what a wonderful place it is if used correctly. This method can also help you in identifying your child’s interests and guiding them along the proper path to success. The internet is an unforgiving place. Your child may turn out to be a victim of cyber bullying or even in some cases; they may be cyber bullies without even realizing it. This is why it is very important to sit down with your child, educate them about cyber bullying and teach them how it is bad. This will also help them trust you better. They will come to you without hesitation if they have been cyber bullied because you have already talked about this. Being online is very easy but knowing how to behave online is another thing. If you start educating your child about the proper online etiquette, they will turn out to be better netizens of the future. If you are not sure of yourself, try taking up online safety courses and online safety training before educating your child.